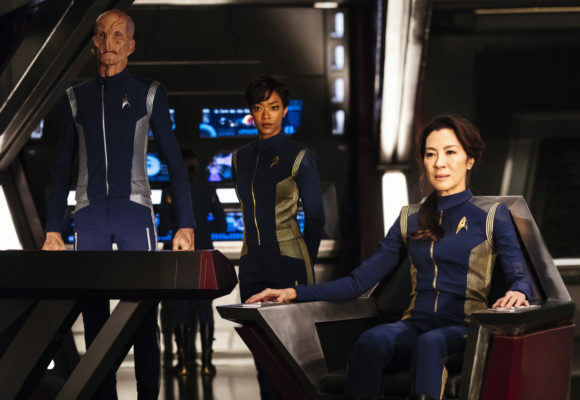 Did you see the Star Trek: Discovery finale? Recently, executive producers Gretchen J. Berg and Aaron Harberts spoke with TVLine about the future of the CBS All Access TV show. What do you think? Are you a fan of Star Trek: Discovery? Did you enjoy the season one finale? Nope didn’t see since I won’t pay for CBS all access. I already subscribe to other, better streaming services offering more than one show I might watch. Discovery is a fantastic fun-filled version of the Star Trek series, I can not wait to see where meeting the Enterprise crew takes them next season. I CAN’T WAIT FOR SEASON 2!!! !